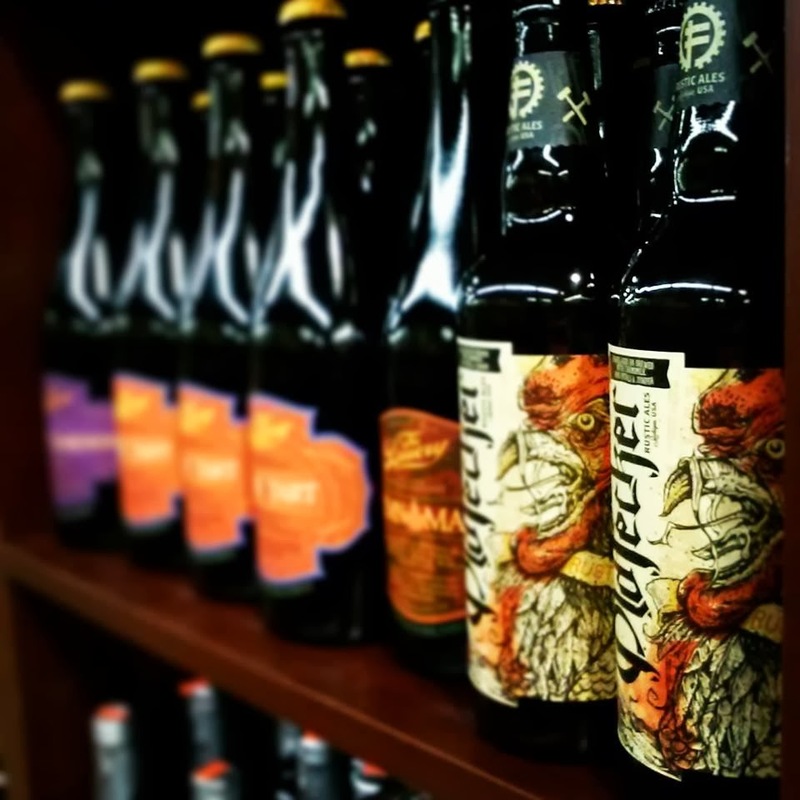 Bottles of Bitter Old Fecker Strutter IPA are fast disappearing from area store shelves. Better hurry to get yours! Photo courtesy of Bitter Old Fecker. While all the little ghouls, ghosts, and goblins cast about the streets of Ann Arbor in search of agreeable morsels, there are more than a few adult-oriented treats to be had this Halloween and beyond as well. Why, how did you know I was talking about beer? It’s like maybe you’ve read this column before. Either that or you’re some kind of freaky psychic. If you are, there’s no need to read any further. Otherwise, let’s get to it. Arbor Brewing, 114 E. Washington, hosts Dance of the Dead from 8 p.m. to midnight. Wear your best zombie outfit, groove to tunes from DJ Illigan, and enjoy drafts of Night Stalker Pumpkin Cream Stout, Dark Side Black IPA, and Violin Monster Autumn Ale. Costume contest commences at 11. No cover. Bill’s Beer Garden, 218 S. Ashley, is looking for your best costume. Drop by for a brew by the fire between 8-9 p.m. and compete for a variety of Bill’s and Michigan beer-related prizes. Conor O’Neill’s, 318 S. Main, kicks off three days of live music, drink specials, and costume contests beginning at 9:30 p.m. Prizes for best male and female costumes. At Mash, 211 E. Washington, the Halloween Monster Mash runs from 10 p.m. to 2 a.m. with live music and plenty of Demonic Ale and Gourd to Death Pumpkin Spiced Ale on tap. Costume contest includes a $100 gift card for Best Overall, a $50 card for Most Original, and another $50 card for Sexiest. Prizes announced at midnight and you must be present to win. No cover. Sava’s, 216 S. State, also throws its Halloween party from 10 p.m. to 2 a.m., featuring drinktastic treats, tunes from DJ Zu, and a costume contest. $10 cover. The Wolverine State Brewing taproom, 2019 W. Stadium, has live music from Wire in the Wood and The Massacre Bourbon Barrel Aged Imperial Dark Lager on tap. You read that right: on tap! Costumes not required but strongly encouraged. No cover. In Ypsilanti, the Wurst Bar, 705 W. Cross, invites you to the party with food and drink specials and a costume contest. The contest works as follows: you have your picture taken in costume, the Wurst gnomes post it on Facebook, and then the one with the most “likes” by 2 p.m. Friday wins a $200 gift card, while the runner-up bags a $100 card. The fun begins at 8 p.m.
» Witch’s Hat, 22235 Pontiac Trail, is going all Simpsons Treehouse of Horror by having a post-Halloween Halloween party from 2 p.m. to midnight. The costume contest works the same as Wurst Bar’s, above, except voting on Facebook is open for a week. The person in the picture with the most “likes” by Nov. 6 at noon scores a lifetime Mug Club membership and a mug. On tap look for Pumpkin Porter, Oktoberfest, Demon Cleaner Tripel, and Barrel Aged Night Fury Imperial Stout. Live music from Peter “Madcat” Ruth and Michael Shimmin commences at 7 p.m. No cover. » At 6 p.m. Ashley's, 338 S. State, taps another exclusive 30th anniversary beer, this time an Imperial Red Ale from Long Island’s Blue Point Brewing. The brewer describes it thus: “With close to a dozen different malts and nearly as many hop varieties, there’s bound to be something for everyone in this thoughtfully crafted beer. Citrus aromas greet the nose and subtly sweet and roasty malt notes tantalize the taste buds. Get it while you can: only one batch was brewed!” Take-home bomber bottles are also rumored to be available. » Back at Conor O’Neill’s, check out the Nightmare Before Xmas party, with a Great Lakes Brewing tap takeover and Christmas Ale release party. Dig DJ Matt Styles at 9:30, more drink specials, and another costume contest. 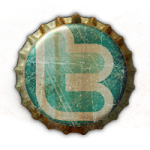 » Today is Learn to Homebrew Day, and might I humbly suggest Adventures in Homebrewing, 6071 Jackson, as a worthy place for you to do just that? 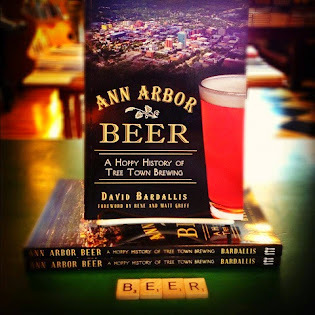 Not only will there be live brewing demonstrations and a chili cook-off, but yours truly will be signing copies of my book, Ann Arbor Beer: A Hoppy History of Tree Town Brewing, from 10 a.m. until noon (or maybe later now that the Michigan/Sparty game is kicking off at 3:30). Dress in your best “Monster Mash” costume and win a prize, maybe. More details at homebrewing.org/monstermash. » Speaking of that football game, if you watch it at the Wolverine taproom, you can get $1 off 15 oz. beers (excepting the Massacre and Gulo Cubed X-Treme IPA) for the duration. » Head to the Grizzly Peak Den, 122 W. Washington, for Brewer’s Night from 6-9 p.m. Your reward is discounted samplers, a personal tour of the brewery, and a taste from a cask of Dux Deluxe, a wood-aged, dry-hopped Belgian golden ale brewed by Nathan Hukill of Bitter Old Fecker fame (see Notes on the Napkin, below). » Hit up the World of Beer, 1300 South University, where I'll be drinking beer and selling and signing copies of my book for all you people who just started thinking, “Aw crap, what am I going to get Mom for Christmas?” Get one for Mom, Dad, Sis, Bro, Junior, the dog, the cat, and your Aunt Mildred. Holiday shopping: done. Have a beer. You’re welcome. » At the Wolverine taproom, beginning at 6:30 p.m., is a special book signing. No, not with me, but with the one, the only, the Beervangelist himself, Fred Bueltmann of New Holland Brewing. Fred will not only be selling and signing copies of his book, Beervangelist’s Guide to the Galaxy: A Philosophy of Food and Drink, but he will also demonstrate how it’s done with some beer and food pairing samples. If you weren’t fortunate enough to get on the quickly-filled-up guest list, you’re out of luck, but I can do my best to make it just like you were there! » The biggest, baddest tasting of the year at Arbor Brewing is the Belgian beer tasting, and it’s going on from 7-9 p.m. Dig more than two dozen Belgian and Belgian-style brews from over the sea and around the country, including Trappist ales, Flemish sours, dubbels and tripels, and all the rest. The usual appetizer buffet and prize drawings go without saying, don’t they? Oops, too late, I said it. Tickets are $30 in advance and $35 the day of, if still available. Call 734-213-1393 or buy at the pub. Did you miss out on last weekend’s Michigan Brewers Guild Detroit Fall Beer Festival? Never fear; over at MittenBrew.com we fill you in on some of your favorites from Eastern Market here and here. 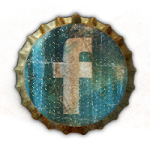 If you haven’t already, then you need to go “like” Jolly Pumpkin Café & Brewery on Facebook. They are, as of this writing, oh-so-near 10,000 likes. Why is this important? Because they have promised to launch some super-duper cool contest once they reach 10k. So let the contest begin! Go like them now, fool. Speaking of Jolly Pumpkin, the brewery in Dexter just installed a new 100-barrel and 60-barrel fermenter and, to judge from the tweets of head brewer Ron Jeffries, there are some interesting beers that will soon fill these vessels, with names like Saison X and Roja du Kriek. W00t! Strutter IPA, the first beer from Chelsea’s Bitter Old Fecker Rustic Ales, is out on store shelves, but it’s going fast. If you didn’t get a bottle, you’d best pick one up now. Bitter Old Fecker is the nanobrewery brainchild of former Grizzly Peak brewer Nathan Hukill. Nate brews in small batches, which are then aged in barrels until he feels they’re ready, so anytime you see a Fecker, you’ll want to grab it because it may be a while before you see the next one. Learn more about Nate and Bitter Old Fecker at the official website.